As residents of Atlanta, we were inspired by the diverse immigrant and refugee communities we saw in our city. We realized the impact a community has on the well-being of a person, and we wanted to create a way for people to find a support system, especially after leaving their friends and family in a different country. 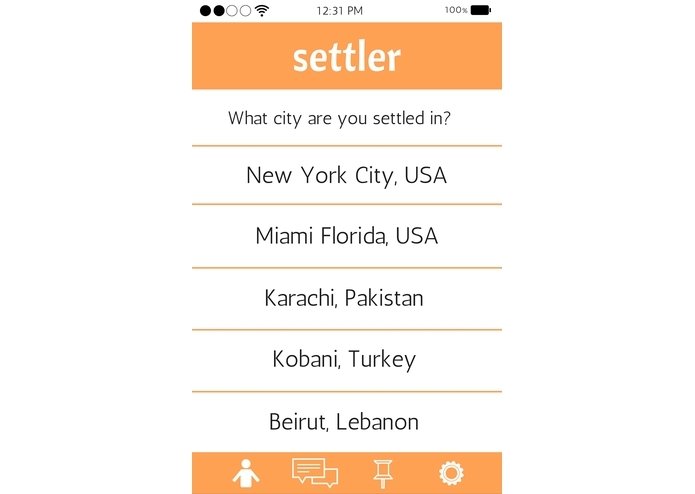 Settler is an app that shows you people who have the same origin and current city as you. 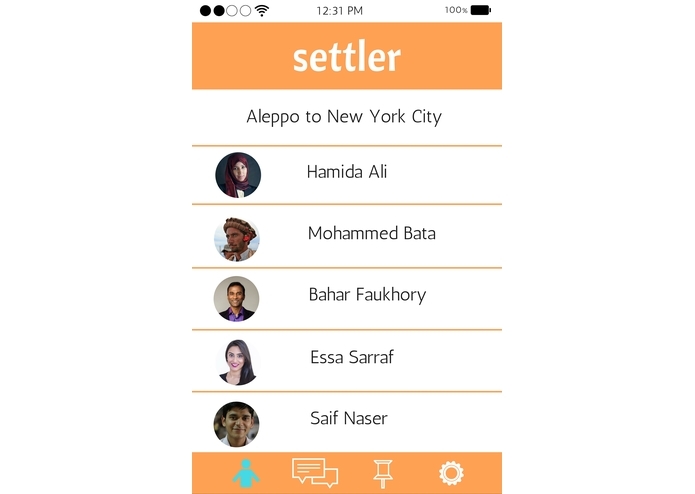 If you moved from Aleppo, Syria, but now reside in NYC, the app will add you to the closed community of others just like you. Members can message those on the same list, and create groups for different interests. There is also a bulletin board, in which anyone on the list can post listings. 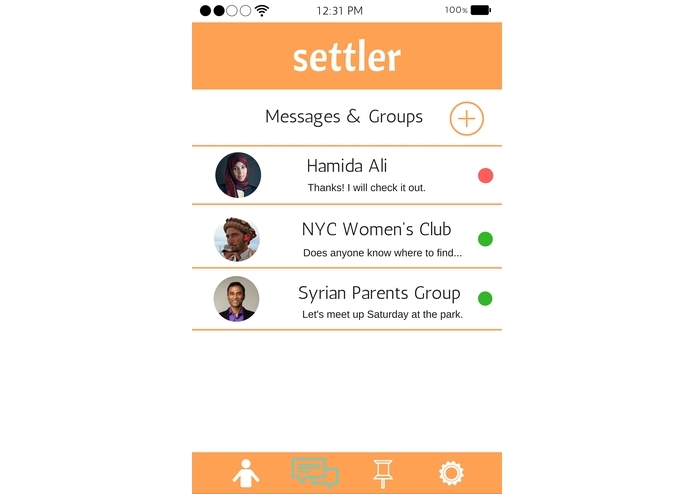 This feature is especially helpful to share things like job opportunities, ESOL classes, event listings, or want ads. We were all very excited about the hackathon, but none of us knew much about coding. 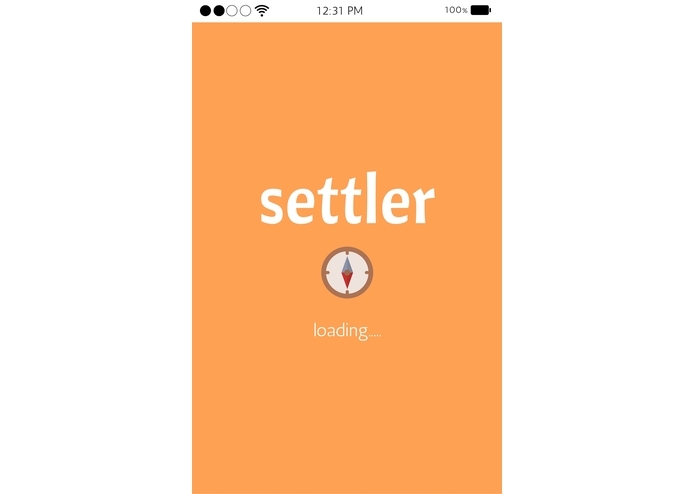 We took a crash course into Java and built a very simple Android prototype. It was difficult because we had never developed anything in mobile before. We are so proud of our pitch deck and mockups, and feel like we conveyed our idea well. We are also so excited that we learned to play with Java, and are looking forward to creating more complex apps. 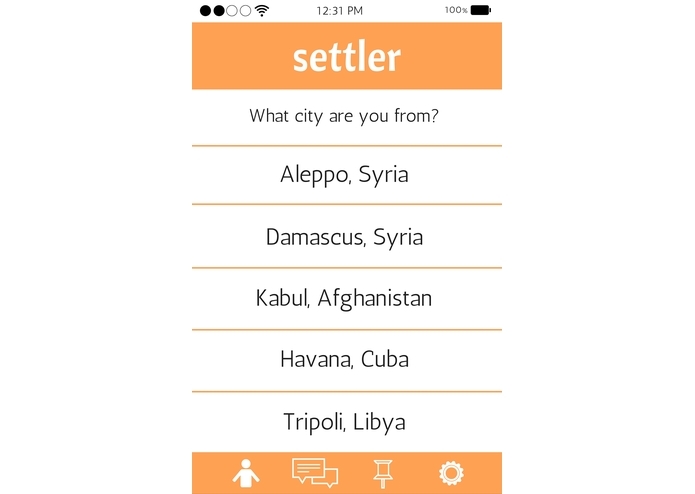 We want to be able to create a full-fledged version of the app and release it on the Play Store so we can make a global impact on settlers.